Who would have EVER thought a game combo with birds and pigs would become a favorite?! 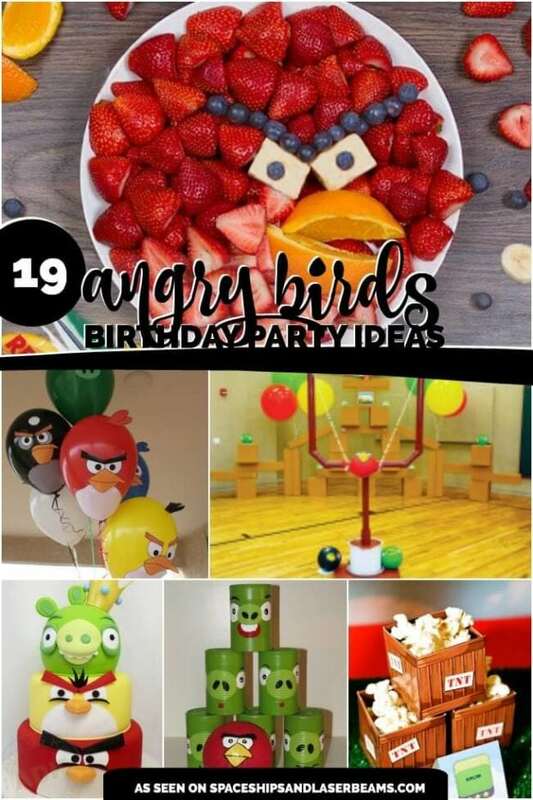 But, the Angry Birds game is wildly popular and that makes it a super choice for a party theme. Fiona, from Olivia’s Kitchen, and Rebecca, from Little Sweet Styling, teamed to prepare a first-rate Angry Birds birthday party to celebrate for Fiona’s five-year-old son, Lachie. Cookie favors, cupcakes, a birthday cake and party games all carried the Angry Bird colors and images to the delight of Lachie and his friends. The dessert table is covered with faux grass, a fitting foundation for an Angry Bird party. The backdrop choice of blue and white is reminiscent of the sky and clouds. A cheery “Happy Birthday” banner combines all of the color families used throughout the party. The cake is definitely the table centerpiece; Fiona captured the expressive birds with their slingshot, a stone wall and the pigs trying to look innocent. Rebecca wittily converted the glass beverage dispensers into a green pig and a yellow bird. Clear glass apothecary jars are filled with primary shades of single color jelly beans; that color block technique works well on the dessert table. Single servings of jelly (Jello) march across the table in a progression of hues. The symmetrical arrangement is continued by placing popcorn in polka dot cones on either end of the table. Cupcakes in striped sleeves hold chocolate and red velvet flavors; Angry Birds and number “5” serve as medallion toppers. Chocolate “bird nests” and miniature eggs are another taste temptation. Notice one of the nests also appears on the cake. Cookie Mummas created the fun take-home favor cookies which were popped into mini bags and closed with a thank you note from Lachie. Their bright colors and comical expressions contribute to the upbeat vibe of the table. Fiona and Rebecca created a playful table full of color and discovered that Angry Birds make happy boys! 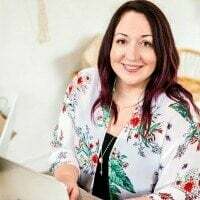 Find more of Fiona’s work by following her on Facebook.